Simulation is a rapidly growing market and the strategic deal with Williams Advanced Engineering is a logical and potentially very rewarding avenue for the Group to develop. The deal combines Williams' expertise in F1 simulation and high speed dynamic motion platforms with AB Dynamics' industry knowledge and reach, manufacturing abilities and data gathering test equipment. Together this brings the opportunity to introduce improved Vehicle Dynamic simulators to the broader market. AVL, a leading automotive consulting firm, believes that 30% of costs incurred during vehicle development could be saved by using a DIL simulator with subjective feedback. 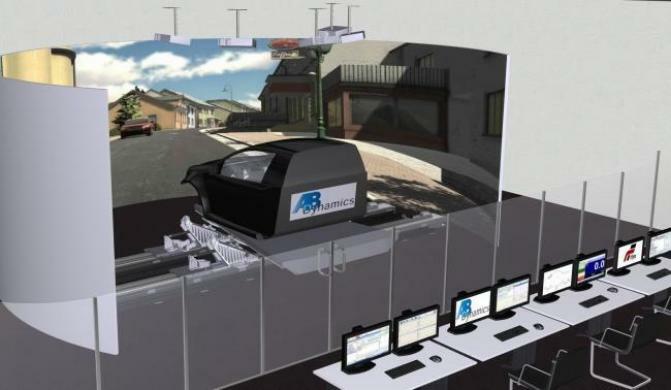 Next generation driving simulators provide automotive OEM's, motorsports teams and Tier 1 suppliers with a means to accelerate and streamline their development processes. Stemming from F1, vehicle modelling and simulation, a DIL approach allows engineers to ‘physically' test drive conceptual vehicle designs through numerous virtual environments and scenarios, well in advance of the availability of physical prototypes. Vehicle dynamic simulators consist of a highly responsive motion platform, lightweight driver chassis, advanced low-latency sensing and virtual high resolution 3D screens to allow human drivers to interact in real time with vehicle simulations, in effect virtual test driving.